I hardly have a sense of smell so, in my case, wine tasting and its accoutrements –the decanter, the swishing of the liquid around the mouth, the uppity sniffing, the slight nod that indicates “ok, pour it” or the frown that means “inadequate!”– are moot. 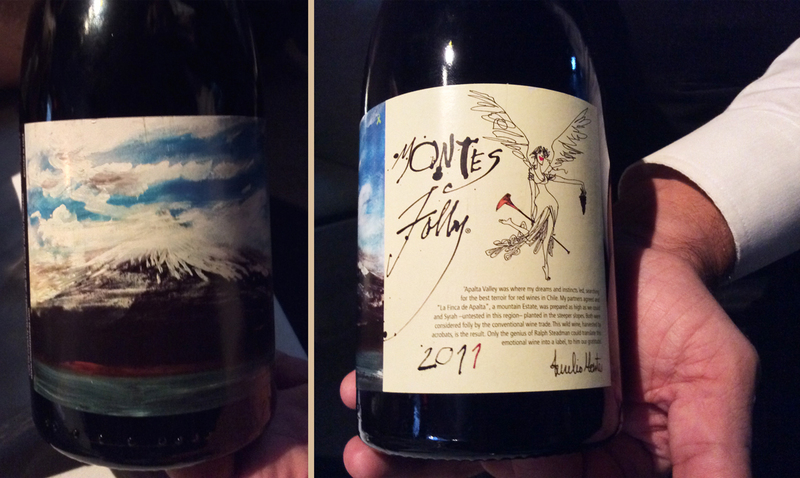 I enjoy wine mostly with my imagination… and some bottles for their graphic design. For example, I love labels such as this one, by one of my favorite artists, Ralph Steadman. One of my favorite wine labels from one of my favorite artists as well.